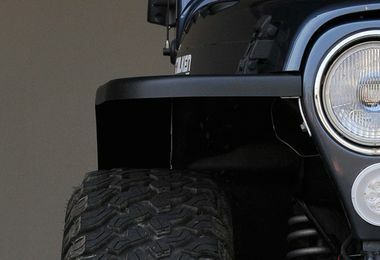 Today, our product line has grown to cover front and rear applications for Jeeps from 1987 to 2017. Our Generation II and III fenders and flares are made of MCE-Spec TPO, a proprietary cutting edge material, from a new process which is only beginning to be implemented in the plastics industry. They are the most durable and technologically advanced fender on the market, with an industry-leading warranty to back it. 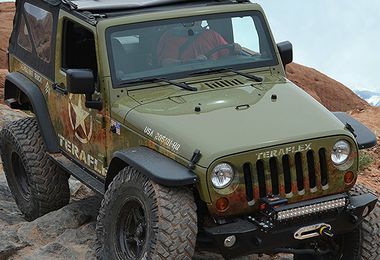 Companies such as ARB, Currie Enterprises, Savvy Offroad, Monster Energy, Teraflex, 4 Wheeler Magazine, and more run MCE flares on their vehicles, and can be seen on our media page. Marc Bowers was also added to the helm to work in brand expansion in sales and distribution. Marc brought 12 years of industry experience to the team, as well as valuable skills in nearly every department.